Athletes push their bodies to the limit. Our performance is determined on our health and the strength of our bodies. Research on chiropractic care and athletes shows that the benefits of chiropractic can include faster recovery from injury, improved performance and greater joint flexibility. 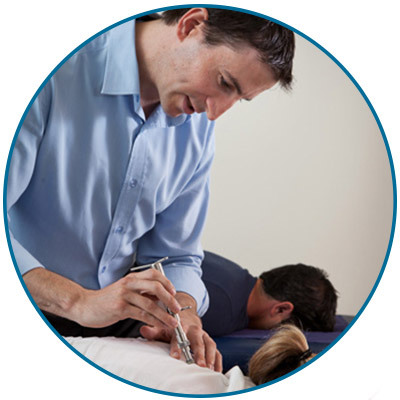 Ongoing treatment at The Chiropractice may be a valuable addition to your training regime! A study published in Chiropractic: The Journal of Chiropractic Research and Clinical Investigation by Lauro and Mouch (1991) showed that athletes exhibited a 30% performance improvement after 12 weeks of chiropractic care. The participants were tested on different aspects of athletic ability such as power, reaction time, balance, agility and kinesthetic perception. Those not receiving chiropractic care showed just a 1% performance increase after six weeks. The participants under care, however, showed an 18% performance increase after six weeks. Many athletes only turn to chiropractic care after they have been injured. It may be more beneficial, however, to incorporate it into your training routine. Whether you’re a young athlete, professional or Olympian, natural methods of healthcare can play a significant role in your performance. Contact us today to find out more! Our experienced team is ready to help you.